Two 1 year old beautiful canaries looking for a new home. One brown singing male and one yellow sweet natured chirpy female. They get on Very well having purchased together and love to fly out of the cage often. 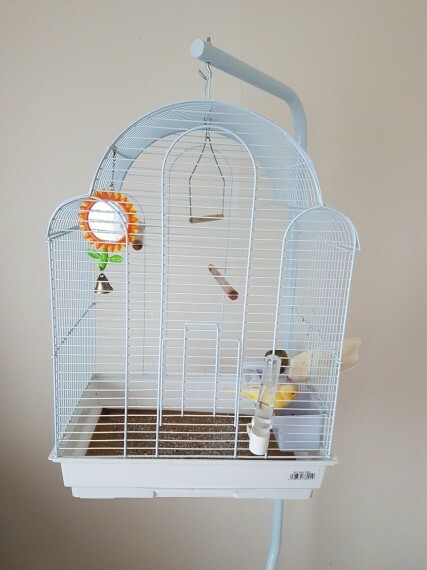 Price includes white cage and matching stand, Everything as shown in the photo. I will also include two bird baths and any food, sand paper, grit anything left over to get you started. Serious buyers only please. Genuine reason for sale. Location coningsby, Lincolnshire.